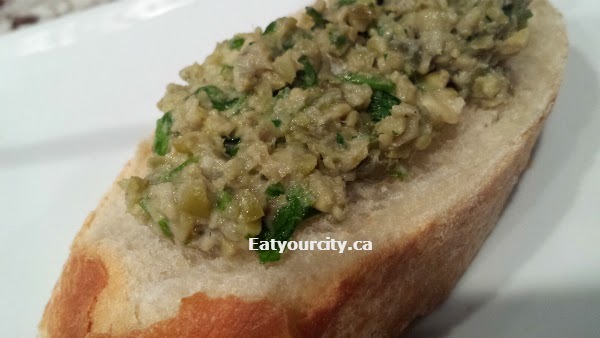 Eat Your City: Olive tapenade recipe - you can use green olive, black olives, anchovies.. soooo good! 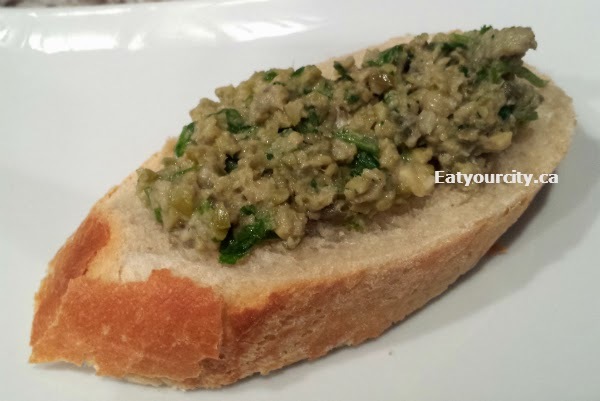 Olive tapenade recipe - you can use green olive, black olives, anchovies.. soooo good! Posted by Its funny.. I hate whole olives... but if you chop them up, mince the, puree them... I love them! And that said, that's probably why I love olive tapenade. Its basically chopped, minced or pureed olives with capers, anchovies, feta... so many variations to make a delicious salty savory spread that goes well on crackers, crostinis, bread, sandwiches, chicken, fish, lamb... the possibilities are almost endless. Its gluten free, and you can easily make it vegan... want it more substantial or complex? Add in some feta or random bits of cheese you have kicking around in your fridge or some marinated peppers or artichokes. Chop it up if you like it chunky, bring out the mini food processor if you're lazy.. and if you like it smooth, you can puree it to a smooth salty savoy nomnomnom! 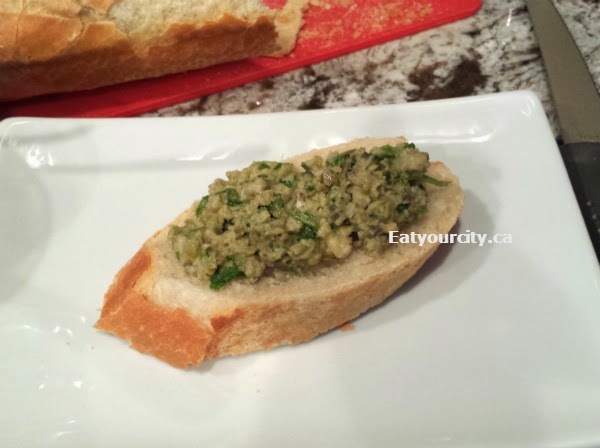 1) In a mini food processor, toss in the garlic and rinsed capers. Its important to rinse both olives and capers or your spread will be super dooper salty. Pulse so the garlic is finely chopped - I love garlic, but I don't want a gigantic chunk in mouth! 2) Add the olives, capers, parsley, lemon juice, olive oil and anchovies, fresh herbs and cheese if using. Pulse until everything is finely chopped. Season to taste with pepper. 3) Serve with crackers, bread, crostini, cheese, on top of chicken, fish or lamb or as a spread for sandwiches!